Client Stories | Family Promise of Hunterdon County, Inc. 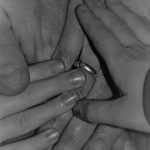 Client Stories – Family Promise of Hunterdon County, Inc. In many ways, Ariadna Gomez represents possibilities. 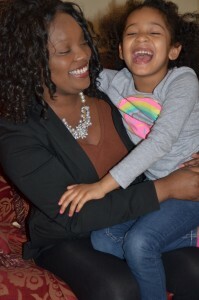 A woman who came from a homeless shelter 10 years ago with her then 5-year-old Nashawn and 1-year-old twins Juelz and Javier, now lives in a beautiful 3-bedroom apartment, has a solid full-time job, and plans to finish her education. Ariadna represents possibilities but she is also a story about how much time it takes and the unbelievable tenacity that’s required to go from shelter to stable. 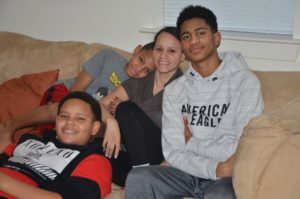 About 10 years ago, Ariadna and her very young boys came to Family Promise of Hunterdon County after escaping domestic violence and subsequently an overcrowding situation at a friend’s apartment. As she says, “I had nothing. I had no job, no education. I had nothing. The pieces had completely fallen apart, they were just all over the place.” Soon, after moving into shelter, Ariadna got a job, and not long after leaving the shelter, she earned her GED. With the help of her case manager, Donna Michelsen, the pieces started to come back together. When asked how she was able to go from such a chaotic situation into housing and employment, Ariadna quickly credits Family Promise. “It was all because I worked with Donna to make a plan,” she said. “We talked about goals and she helped me set up child care so that I could go back to work. Then I could get my GED and I started working on a college degree.” Now Ariadna has a great job as a healthcare coordinator for a national health insurance company. She works mostly with the elderly population helping to coordinate basic needs such as medication and transportation. A few years ago, she accepted a transfer to Florida but just this year moved back to Hunterdon County so her boys could be in a better school system. She was fortunate to get one of the few affordable housing units in the county, but many people might be surprised to know that her monthly rent for her 3-bedroom is still $1,556. Thanks to living wage employment, Ariadna can handle that but she hopes to go back to school to get an even better job. Ariadna looks back at her time in the program fondly, and she remembers how amazed she was at the helpfulness of the volunteers. She says they were such a big help to her with her young kids, and she was grateful to have meals prepared and diapers whenever she needed them. She got help with moving and her apartment outfitted with donated furniture. For many years, her family has received Christmas gifts from the adopt-a-family program. Ariadna appreciates all of this and especially the kind and non-judgmental way she was helped. She is also grateful to know that if she ever needed anything, Family Promise was there to help. We say it all the time — our program is more than just shelter, it’s about long-term stability. 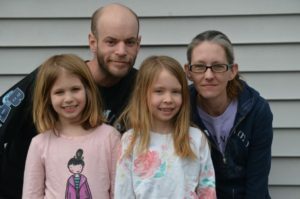 It works, and it’s nice to shine a light on a family who was able to put all the pieces back in place with a little help from Family Promise of Hunterdon County. For many people, drug addiction is a dirty little secret. That is, until it isn’t. Drug addiction altered Brad and Patricia’s life to such an extent that they became homeless. Although Brad was never in the Family Promise of Hunterdon County’s (FPH) homeless shelter, his wife and two daughters were with us as a direct result of his addiction. He’s not proud that he led them into homelessness, but he is proud of the remarkable progress he’s made since then. An overdose made him realize the extent to which he had hurt his family. That tipping point led him into rehab. Brad has now been clean for two years and is once again able to provide for his family so they never become homeless again. From the depths of dad’s addiction and a homeless shelter for mom and girls, this family has made incredible strides. Once Donna helped them find housing they could afford, Brad and Patricia both set upon a path to stability. Brad now works full time at a family-owned convenience store. Patricia works as a home healthcare aid and loves her job because she connects well with her patients. She also gets home in time to meet her daughters when they get off the school bus every day so she has no child care issues. They have been able to maintain their housing, build credit, and have just purchased a used car. They’re even talking about being able to take a Disney cruise with the girls some day! Patricia is extremely grateful to FPH and especially all the volunteers. She admits that she was very scared when she came into the program, but the volunteers were so wonderful that she was put at ease very quickly. Her circumstances were so stressful that she loved having someone kind and caring to talk to every day. When the kids get older, she looks forward to having the time to be a volunteer host herself. We are in awe of this family and so happy to help them go from homeless to housed and beyond. FPH not only provided a place to go when Patricia lost her housing, but we helped them on a path to self-sufficiency. A big thanks to all our volunteers who showed love and care and supported this family on their journey. 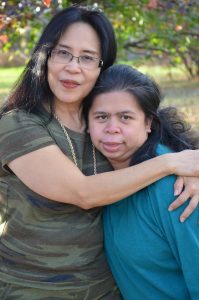 After being married for more than 20 years, Renny’s husband left her and their special needs daughter, Christy. Renny and Christy stayed in their home, but when her husband stopped paying the mortgage, the house went into foreclosure and they had to leave. With nowhere to go, a member of the health club where Renny works suggested that she call Family Promise of Hunterdon County. After being in our shelter for about four months they found an apartment in a beautiful open area that they both absolutely love. Renny works full-time in the housekeeping department at the health club but also takes on other work such as ironing and cleaning. Christy goes to work every day at the Center for Educational Advancement (CEA) doing piecework. Renny is a very determined woman; with the help of a volunteer tutor recruited by Family Promise of Hunterdon County, she passed her citizenship test. Renny became a proud United States citizen in May. This family is remarkable and we are so proud to know them! Dana’s life has been challenging from the beginning. Born to a drug-addicted, alcoholic mother, her life started out rough. As she grew older, Dana suffered years of physical and mental abuse. In her words, “Statistics show that I should be an addict, a prostitute or suicidal.” Dana is none of those. Referred to Family Promise of Hunterdon County through a neighbor, Dana was reluctant to go into a shelter and receive help but she knew she had to make a change. She felt very guilty about what she considered “taking a handout.” Dana had no motivation or ambition at first and a difficult time showing affection. But she responded to the case management program of goal setting and budgeting. In fact, she still uses the budget worksheets today! Dana has been described as “scrappy” in her ability to find work and housing since she left the shelter but she remains grateful for the help that she occasionally gets from Family Promise. 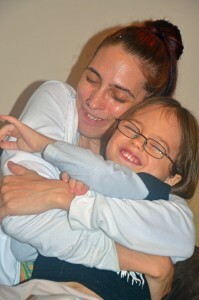 Four years ago, Dana’s life changed forever when she was blessed with a beautiful boy, Anthony. Dana credits her own painful childhood as the reason that she is such a dedicated and loving mother. Dana has been stable and independent for almost 10 years now and is involved with her community as a volunteer. She is an incredible mother and very grateful to have her bright, handsome boy. We’re so proud of her and we love when she brings Anthony in for a visit. Our goal is long-term stability – and it works! Hope viewed her time in the shelter simply as “a situation;” a situation that was difficult but made so much easier by the incredible volunteers that she and Olivia met during her time in the shelter. She stays in contact with a lot of them and remains forever grateful for their kindness and for seeing her potential. Malika Davis was caught in a downward spiral after losing her job and then her housing and not long after that, her car died. 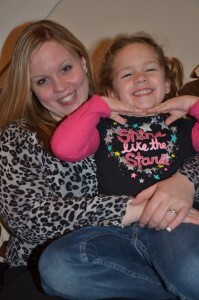 Without housing, work or transportation she sought shelter with her daughter, Neveah, at Family Promise of Hunterdon County. Malika was very honest about how hard it was for her in the shelter program, particularly in the first week. She shared that, “My first week was terrible because I was put in a completely different environment with rules and I felt like I was an adult and wasn’t used to that. I also didn’t have a plan, which made it so hard to deal with everything that I had lost because I couldn’t imagine ever getting back on my feet, I just couldn’t see it happening. As time progressed, I made a plan and saw that I had options which, to be honest, made it easier and harder at the same time.” The combination of excellent case management, support from volunteers, and her personal drive to break the cycle of generational poverty that affected her family led Malika to where she is today, not even one year later! Malika is in our Sustainable Housing program which pays a portion of her rent so that she can work and go to school. She earned a certificate in Phlebotomy in December and is now motivated to stay in school and earn her LPN. Her hard work has not only paid off in her ability to provide for her family, but Malika knows the impact it has on Neveah to see that when it comes to valuing an education, her mom really walks the talk. Malika stresses the value of sticking to a schedule and a plan. She credits that with helping her to do a better job of managing money, saving, and using her paycheck wisely. She knows how important it is to stay on that schedule and make her family the priority because that has led to her success.